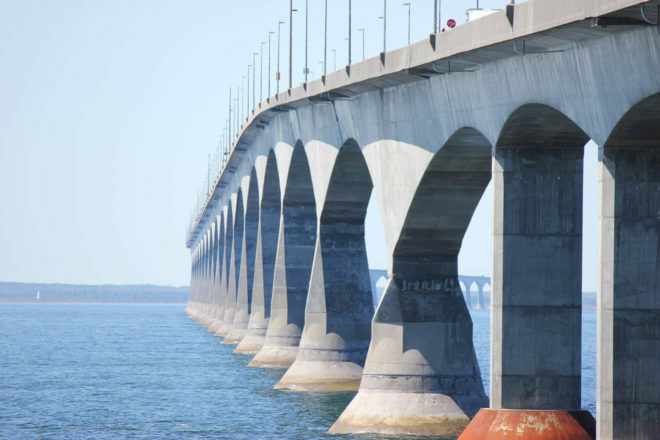 The Confederation Bridge is an engineering feat connecting PEI to the mainland. It spans an astonishing 12.9km. 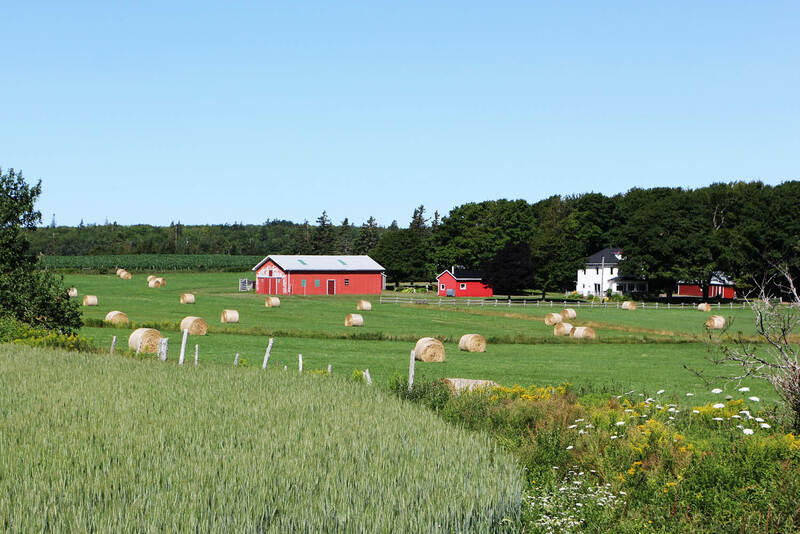 Much of the PEI landscape is beautifully bucolic with rolling, green pastures, classic red barns, and lots of potato farms. You can’t visit Prince Edward Island without paying homage to one of Canada’s best-loved characters, Anne of Green Gables, at the Green Gables Heritage Place. 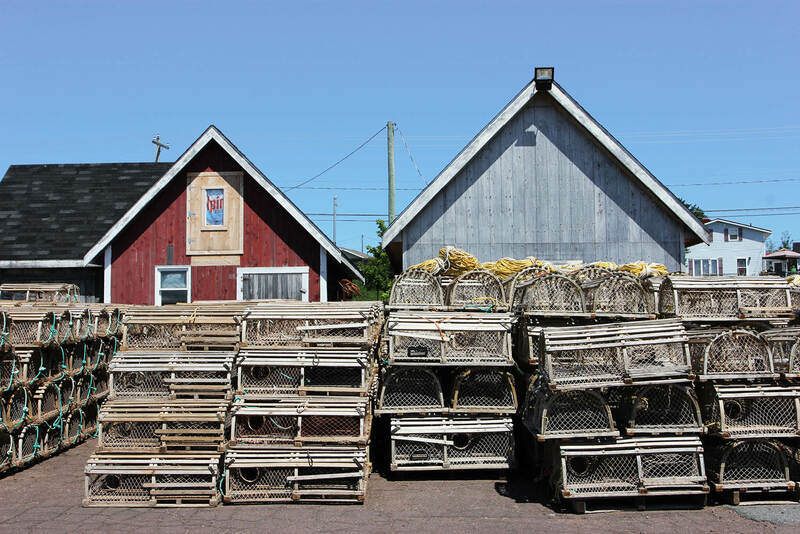 Small fishing towns are scattered all around Prince Edward Island. 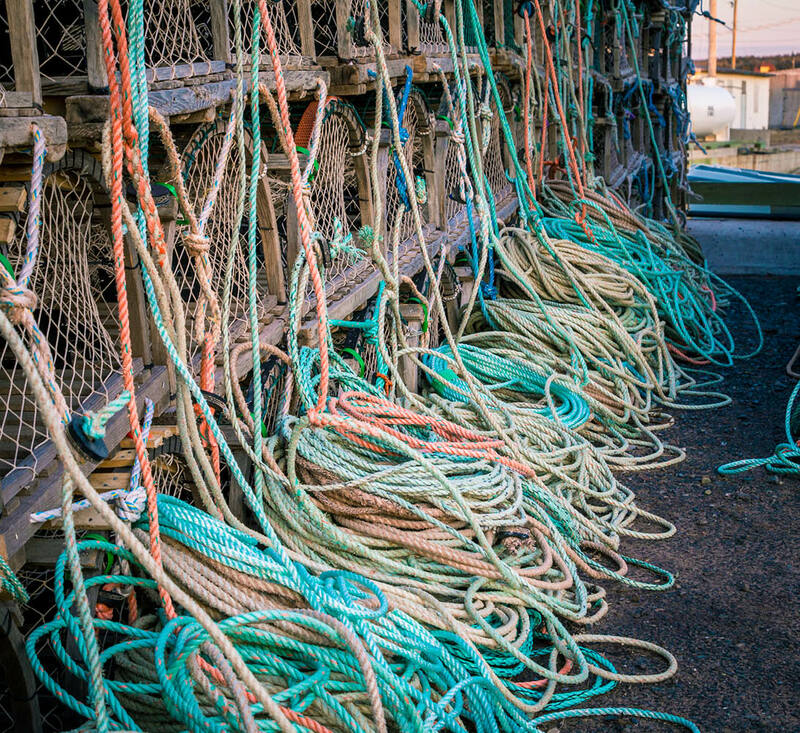 Ropes ready for hauling in the catch of the day. Be sure to taste PEI’s lobster while you’re there. 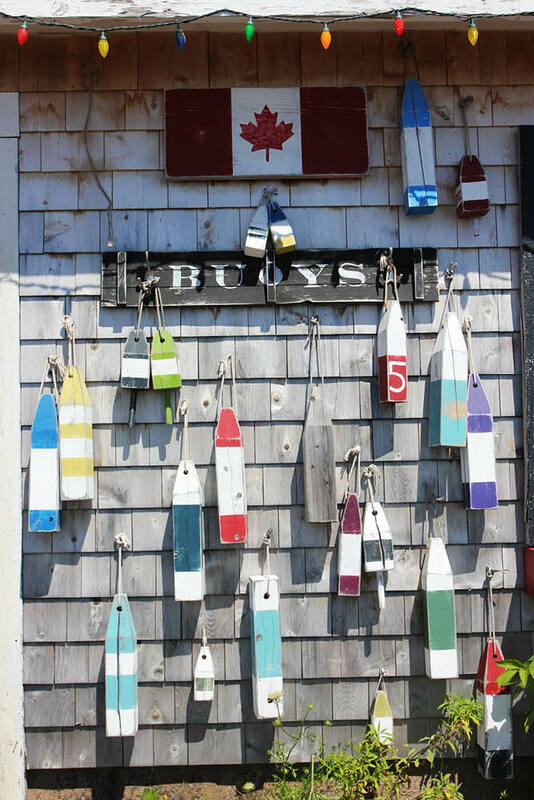 Colourful buoys decorate a boathouse in a quaint shipyard. 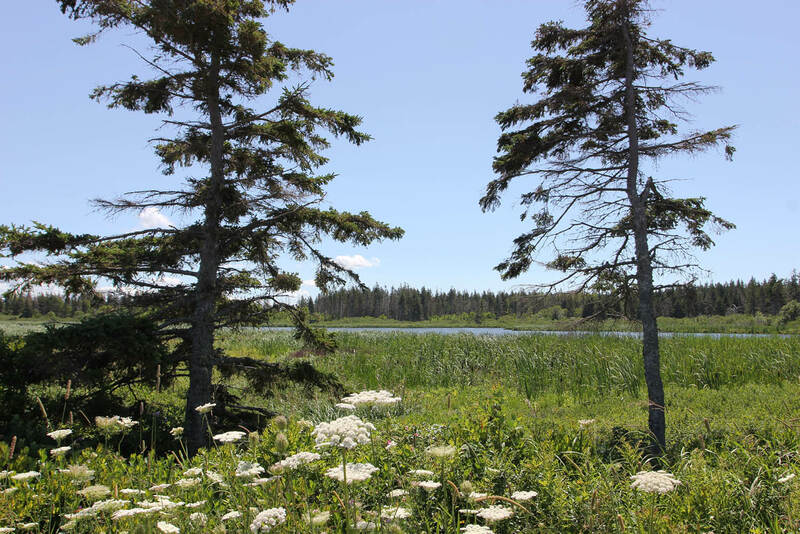 Take a bike ride through Prince Edward Island National Park and explore stunning lakes on one side of the road and red-sand beaches on the other. The city of Charlottetown is abuzz in summer, where you can enjoy live music performances on just about every corner. It may be Canada’s most petite province, but Prince Edward Island’s culture, history and natural beauty ensures she looms as large as any Atlantic Province, finds Lara Picone. Prince Edward Island is the little province that could. The smallest of the Maritimes, and indeed Canada, this diminutive province measures in at just a smidge above 5600-square-kilometres. But, as many a sage proverb has told, size is certainly no indication of might. And Prince Edward Island, or PEI as she’s locally dubbed, has quite the list of achievements to puff her chest about; she’s not shy about doing so, either. Perhaps there’s somewhat of a Napoleon complex going on here, but everything on PEI seems to be the best, longest, first, biggest or most of something. That’s not to say the island is a boastful bore, but rather she’s incredibly proud of what she produces, and she’s not afraid to remind you. Let’s put aside for a moment the island’s bucolic beauty and red-sand beaches, which, mind you, are touted to be the warmest north of the Carolinas, and focus on its more industrial achievements. There’s the province’s historically enormous potato industry, which supplies the country with 30 per cent of its potatoes and exports seed stock all over the world. There’s the 12.9km Confederation Bridge that spans the Abegweit Passage and is said to be the longest bridge over ice-covered water. And, let’s not forget, the capital Charlottetown was the birthplace of Canada’s confederation. Nothing to sniff at there, but there’s much more to add to PEI’s accomplishments. Of course, your tyres barely make it off the bridge and onto PEI soil before you’re well aware that this is the land of Anne of Green Gables. The inception of the beloved character here almost seems to take precedence over the inception of the nation. There are Anne of Green Gables stores, chocolates, and the longest running musical theatre production in the world, perfunctorily named Anne of Green Gables – The Musical. Playing at Charlottetown’s Homburg Theatre for 53 seasons, one can only hope the role of Anne has been shared by many during that time. I imagine there must be fierce competition between redheaded girls with aspirations of the stage in Charlottetown. 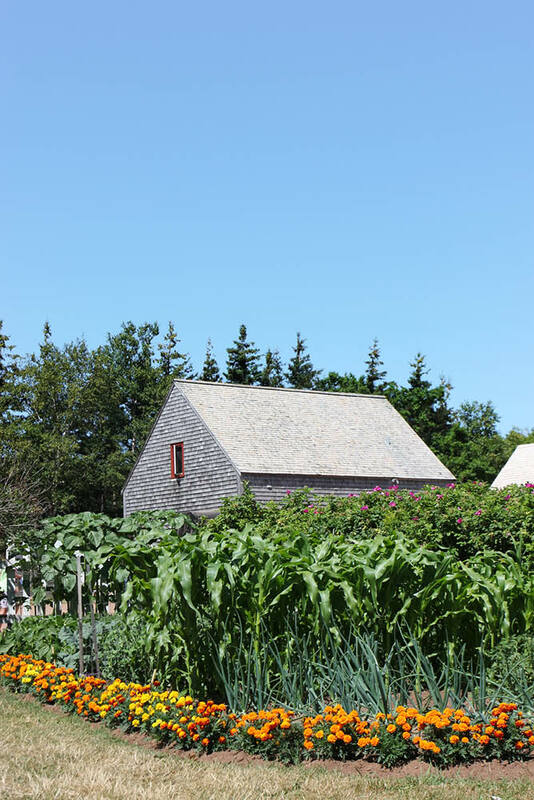 To complement the musical and to get the full Anne experience, a trip to the Green Gables Heritage Place in Cavendish is a must. Even if you’ve never read the series of books by Lucy Maud Montgomery, you will enjoy this divergence from modern day back into the time of the plucky orphan Anne. The Green Gables House, which was the inspiration for the setting in the books, in fact belonged to the author’s uncle. It’s now a museum, with each room era-perfect for the voyeuristic pleasure of visiting fans and their bored companions. You can also stroll through Lover’s Lane and the Haunted Woods, both trails where Montgomery spent time as a young woman observing nature and feeding her imagination. Exit via the gift shop to pick up an Anne doll and the complete series to pass onto the next generation. Throughout Nova Scotia and New Brunswick, you’ll see a proliferation of serene lakeside shores, dramatic cliffs, and tide-dredged rivers, but beaches are really a PEI thing. In summer, on days when the mercury inches toward the mid-to-high 20s, a dip can even be tempting. One of the best places to get in the water is in the Prince Edward Island National Park. I’ve been working myself up to it for a good half hour. Despite assurances the water temperature is no colder than a Sydney beach in early spring, something about it being the north Atlantic has me unwilling to stray from my towel. When I eventually make it to the water’s edge, I find the shallows strewn with palm-size, vivid purple jellyfish. This isn’t helping my resolve to get in the water. But the gelatinous pucks seem bereft of stingers and the fact kids are quite happily transporting them to adorn their sandcastles means I am out of excuses. At the risk of sounding like everyone who ever tried to convince someone to join them in the water, it’s actually pretty nice once you’re in. Plus, you can say you’ve paddled in the north Atlantic. Apart from swimming, one of the best ways to experience PEI National Park is on two wheels. You can hire bikes from the historic Dalvay By The Sea, an elegantly restored 1895 home that, incidentally, was voted one of Canada’s Top 10 Romantic Places, although the source of this accolade is somewhat ambiguous. Leave the romance for the evening and pedal your way to Covehead Harbour (a gentle ride of about 6km) for lunch. Once at Covehead Harbour there are two places you can grab a meal. One you’ll want to ignore (its name is not important, you won’t need it) as you go directly to Richard’s Fresh Seafood. Yes, there is a line. Yes, you may need to wait for 20 minutes to place your order. But this is, in true PEI style, reportedly the home of the best lobster roll on the island. While I didn’t try every lobster roll on the island myself, I can vouch for this one. It is good. If you only eat one lobster roll while on PEI, make it this one. The fish burger looked pretty good, too. And while you’re waiting, pop into the adjacent store for a freshly shucked local oyster (apparently the best oysters in the world). You might want to pedal twice as hard on the ride back to Dalvay in an effort to budge some of that mayonnaise. Failing that, there’s always the option of kayaking or taking a hike in the park the next day. Perhaps it’s down to the world’s longest running musical, but PEI’s capital city has a spirited, creative feel. Live music drifts out from side streets and the clatter of cutlery intermingled with happy chatter speaks to a town that makes the most of the summer months. Take the waterfront or the heritage walk and Charlottetown reveals itself as an open, proud city. It’s a pretty place for a stroll, particularly in the long, sun-drenched evenings when you can stop intermittently for a drink as you go. Plan your route to take in Peake’s Wharf, where you’ll find a collection of classier-than-usual souvenir shops and historic merchants. Between July and August a concert series enlivens the space from 2pm to 4pm and again from 6pm to 8pm. 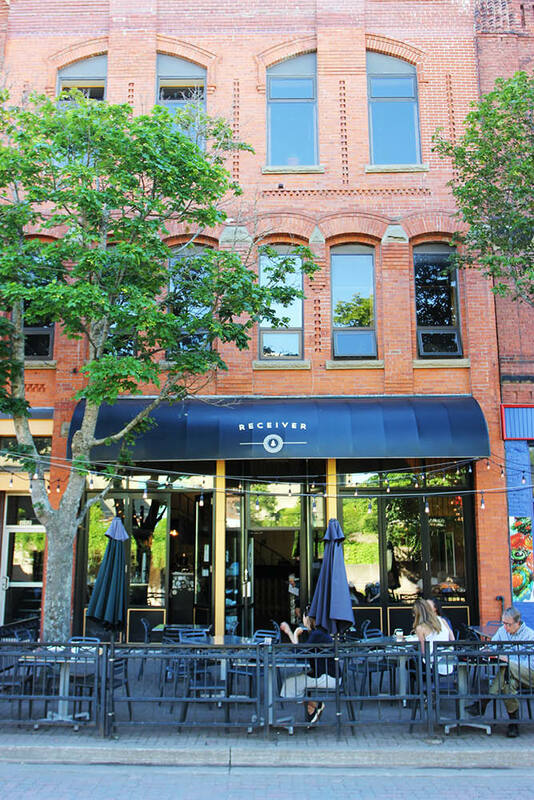 Amble on and up to Water, Grafton, or Queen streets for dinner at one of the many good eateries in town. Try the casual-cool Sugar Skull Cantina, or the more grown-up, mahogany-hued Sim’s Corner Steakhouse & Oyster Bar, where the beef and, unsurprisingly, the potatoes are both unforgettable for all the right reasons. While many PEI establishments feel the urge to tell you they do the best of something, there is one place in Charlottetown that I can say with relative confidence actually does. On my journey through the Atlantic Provinces, finding espresso coffee was like stumbling, parched, on the edge of a mirage. Just when you think you’ve made it, you lift the lid on your ‘latte’ to find 10cm of unfathomably fluffy foam riding the surface tension of a watery brew. This doesn’t happen at Receiver Coffee Co. The beans are roasted and brewed beautifully, a latte is not the size of a milkshake, and a partnership with local Breadworks Bakery means a tasty pastry is also on offer. Stop by for breakfast; if you’re lucky they’ll have avocado toast on the menu. As a visitor to the city that hosted the fathers of Canadian confederation in 1864, it would be remiss of any traveller not to explore the events that led to this monumental national movement. To do so, pay a visit to the Story of Confederation Exhibit in the Confederation Centre of the Arts. Here you’ll find a replica of the Confederation Chamber where the discussions that would change the course of Canada took place. It was no insignificant feat and Charlottetowners are right to be proud. Prince Edward Island may be small, but for what she has achieved, whether by way of potatoes or politics, she’s certainly much greater than her size would belie. You may come for the beaches, for Anne, or for the best lobster roll, but you’ll return because this little island packs a mighty punch.